Consumers buying online or in a brick and mortar store will be entitled to equal remedies if they purchase faulty products, under new rules agreed on Tuesday. The directive on the sale of goods aims to ensure a high level of consumer protection throughout the EU and to create legal certainty for businesses wishing to sell their products in other member states. It harmonises certain contractual rights, such as the remedies available to consumers if a product does not perform well or is defective and the ways to use those remedies. 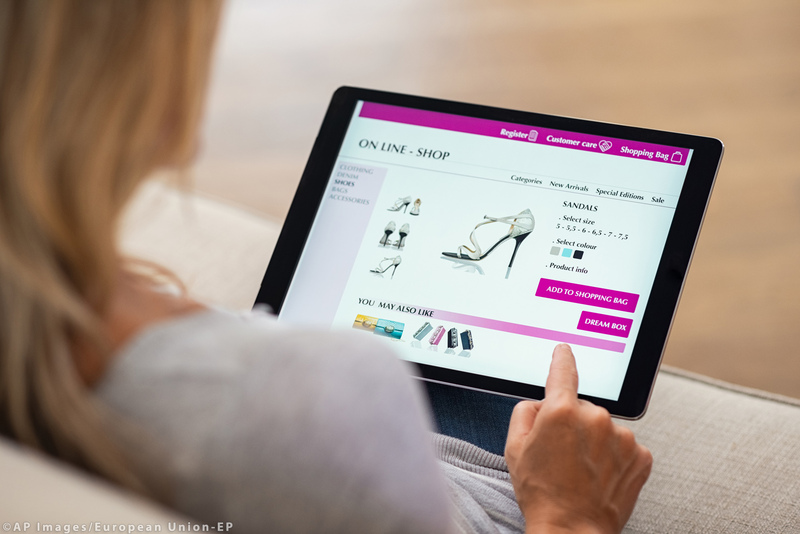 The rules provisionally agreed by Parliament and Council negotiators will apply to both online and offline (face-to-face) sales of goods, e.g., whether a consumer buys a household appliance, a toy or a computer via the Internet or over the counter in a local store. Goods with digital elements (e.g. “smart” fridges, smartphones and TVs or connected watches) are also covered by this directive. Consumers buying these products will be entitled to the necessary updates during a period of time the consumer may reasonably expect, based on the type and purpose of the goods and digital elements. for up to one or two years following the delivery, the buyer will not need to prove that the good was faulty (the burden of proof is reversed in favour of the consumer). For instance, currently, if a consumer discovers that a product he/she purchased more than six months ago is defective and asks the trader to repair or replace it, he/she may be asked to prove that this defect existed at the time of delivery. Under these rules, during a one or two-year period, the consumer would be able to ask for a remedy, without having to prove that the defect existed at the time of delivery. Pascal Arimont (EPP, BE), who is steering this legislation through Parliament, said: “ Consumers should be entitled to the same rights when buying a product, wherever they are in Europe. And with this new legislation, we are not only strengthening consumer protection, we are also introducing a uniform legal framework for smart goods”. “However, harmonising key consumer rights does not only imply more consumer protection. It also ensures a level-playing field for businesses, by giving them more legal certainty and confidence to buy and sell cross-border. By tearing down legal barriers, we support our very small companies in particular, allowing them to get their fair share of e-commerce next to giants such as Amazon”, he added. The provisional agreement still needs to be confirmed by member states’ ambassadors (Coreper) and by the Internal Market and Consumer Protection Committee. The directive will then be put to a vote by the full House and submitted for approval to the EU Council of Ministers. The sales of goods directive goes together with the digital content directive, provisionally agreed on 22 January 2019. They are due to be put to the vote in plenary as a package.